No longer content to merely make the most uncannily realistic 12-inch action figures on the planet, Hong Kong-based toymaker Hot Toys has announced they’ll be turning their talents to a new scale of figure: life-sized. Yes, what you’re looking at isn’t the 12-inch Armoured Batman figure revealed earlier this week yesterday, but a 7-foot, 2-inch figure. 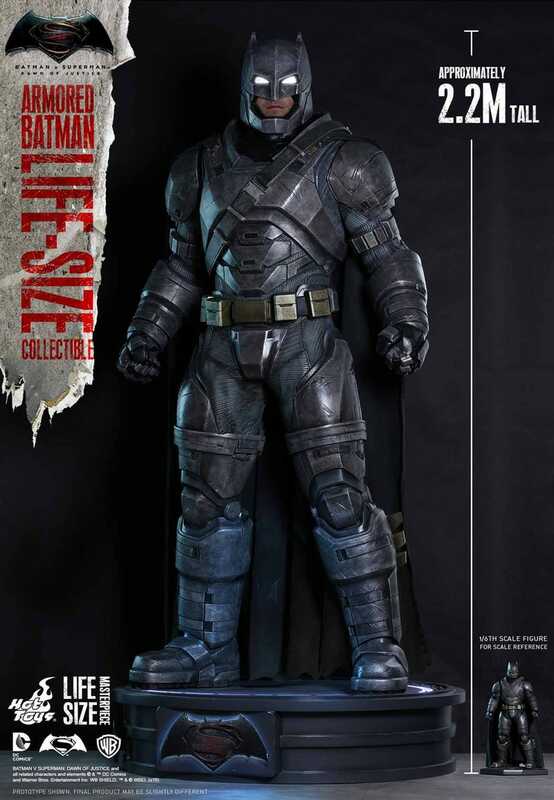 Let me repeat that: THIS IS A 7-FOOT FIGURE THAT LOOKS EXACTLY LIKE BATMAN DOES IN THE BATMAN V SUPERMAN MOVIE. 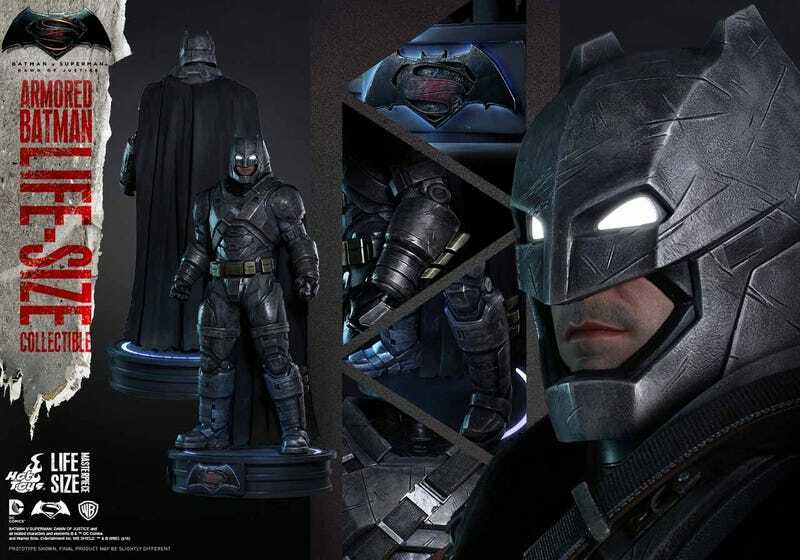 As you can see, the eyes do light up, as does the base and BvS logo. Holy crap. This is basically the next best thing to owning Ben Affleck and the actual costume prop from the movie. Better, even because this thing won’t need to take toilet breaks. There are no details about when Hot Toys will release this monstrous masterpiece, how many they’ll be making, or how much it will cost. Call me crazy, but I daresay it will not be cheap.